A lot of people have said ringette isn’t a real sport simply because it’s not in the Olympics. Ringette may not be in the Olympics at the moment, but my aunt who was the president of the International Ringette Federation (IRF) has been trying to get the sport into the Olympics. The main reason why the sport isn’t is because there isn’t enough competition between countries. Currently the finals of International games are Canada vs. Finland, and in order for the sport to be in the Olympics there has to be more competing countries. Before the Vancouver 2010 Olympics there had been talk about ringette being a demonstration sport in those Olympics. Though it didn’t happen the sport is still growing, and expanding to newer places. Every summer there is a ringette trip that goes over to Europe called The Polar Bears trip, and in past years they have taken equipment over for people. As well they had the rulebook translated into different languages to take over on one of the trips. Since my aunt had been the president of the IRF she has really been working on getting the sport into more countries in hope of it being in the Olympics one day. 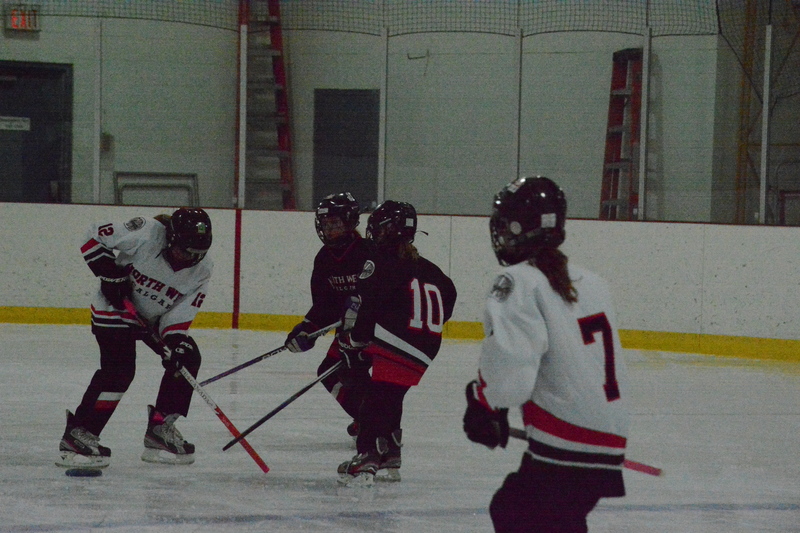 This entry was posted in Blog Posts, Ringette and tagged in coach, coaching, playing, ringette, ringette coach, ringette game, ringette players, ringette referee.